When planning the design of a garden, besides having a good knowledge about the plants and their main characteristics, it is important to have a clear idea on how to use and divide the spaces, especially if your garden is small and you want to create an aesthetically pleasing natural environment. When you have a tiny space, perhaps a small apartment in Eugene, Oregon or a micro-apartment in New York City with very limited space, it is important to learn how to take advantage of every corner and remember that all small gardens or patios can be easily transformed into awesome oases of peace. You can use attractive combinations of plants, gazebos, modern floorings and even modern or elegant jars and pots, together with a wide association of textures and materials. Apart from this, you can also play with the lighting and take advantage of every single bit of your space, including the walls. Let’s see 29 creative small garden ideas that will help you transform your tiny space. In your small garden, nobody stops you from creating a miniature version of a large garden. There are many materials and plants you can use, and the choice is literally limited by your imagination. For example, you could use differently colored stones to create the various areas of your landscape and a few evergreen or perennial plants and dwarf trees for the vegetation. You could, for instance, associate white and gray gravel for the different areas and delimit the transition zones with brown pebbles. Use larger stones for the border of the mini garden and place some decorative rocks among the plants. The best plants to use are the Blue Star Juniper, Golden Hakone Grass, Purple Fountain Grass and Blue Grass, together with dwarf mandarin or apple trees. You can easily create a special corner in your tiny space with a miniature Japanese garden. Use a small fountain that imitates a waterfall on a rocky slope and brown pebbles to decorate the base of the fountain. Beginning from the base of the fountain, use the same brown rocks to create a path throughout the perimeter of the miniature garden. Decorate the rest of the space with tan and amber gravel or white sand and various plants such bonsai, Hosta, Perilla, and Earth Star. You can create your miniature Japanese garden in a corner of your small garden, next to the walls of your house. If all you have is an extremely tiny backyard with no lawn whatsoever, you can still transform it into an attractive space using vertical flowerbeds and pots of different shapes and dimensions. To keep your space as free as possible, you could create a vertical garden using concrete flower beds you can build directly on the wall of your house or on the fence. Opposite to the wall, create a border with light brown and white pebbles and gravel, then choose a few black flower pots of various sizes and shapes. Arrange the pots as you like and populate your small garden with various evergreen plants of small dimensions and leafy plants such as Philodendron and Yucca Filamentosa. If you have enough space and love straight lines, you can create a beautiful modern garden organized according to a strict geometry, made of symmetries between vases and plants. First of all, delimitate a rectangular space where you want to create the garden and place five squared wooden slats to define the space, two at the back of the garden, one in the middle and two at the front, creating a chessboard pattern. Place a squared white pot into each slate to create a chromatic contrast and plant the same plants, ideally dwarf trees and grass into each pot and slate. Cover the surface of the ground with white sand to harmonize the rigorous geometry. An idea for those who have a really small lawn in the space between the walls of the house and the patio. Lighten the straight lines of your landscape with a wavy pattern you can create with a small undercut fence and gravel. Use this new space to plant shrubs of different heights and colors, together with a selection of dwarf trees that you can align along the wall. An attractive selection of plants includes Japanese Maple trees and small perennials such as Blue Lime Grass and Japanese Sweet Flag. If you don’t have a garden at all, but only a small concrete terrace, you can still use original small garden ideas to create a cozy and relaxing outdoor space. The first step to take, if your terrace is not already covered, is to create a roof. Furnish your garden with a table and chairs or with a small coffee table and a cozy sofa and armchairs. Regarding the plants, choose pots of different shapes and sizes and fill them with tall leafy plants and small shrubs. Along the walls, you can even plant some climbing plants of your choice for a more cozier effect. Another small garden idea for those who don’t have a garden at all is creating a shady corner outside the house, maybe next to the entrance or under a window. This intimate small garden requires the presence of plants that need some sunshine and you can use this idea to create a comfortable shadow in the rooms that are exposed to the south. Create a stone carpet using gravel and pebbles and create some geometries with a few evergreens of your choice. Create the shade with a climbing plant positioned on the edge of the wall and that extends on a support placed above the miniature garden. All gardens, even the smallest ones, must have at least two distinct areas. In a large garden it is easy to create different areas furnished for dining or coffee, but in a small garden, things are more complicated. Nevertheless, you can create distinct areas even along the patio if this is all you have. 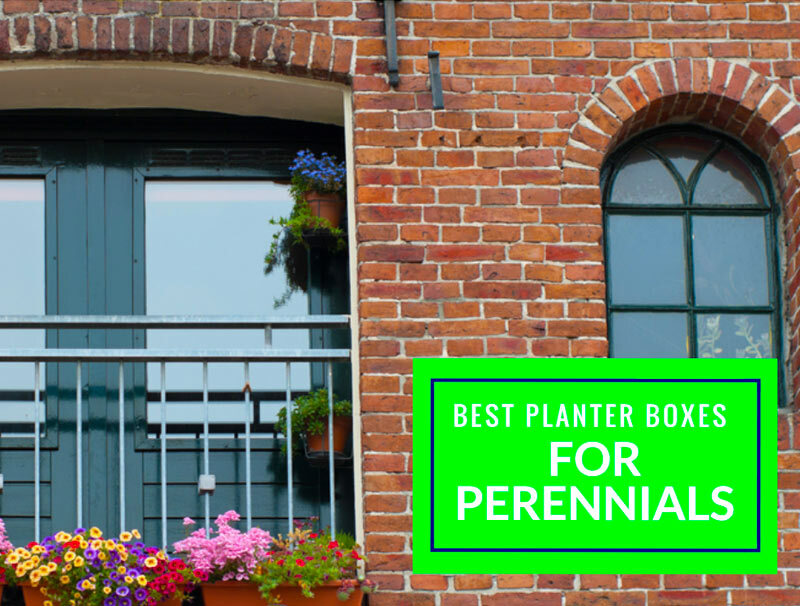 In this case, avoid bulky furniture and concentrate on creating a luxuriant garden by planting different perennials along the paths and the edges of the patio. In the quietest corner, create a cozy reading area and use the rest of the space as a playground for your children or to install a chic gardening table. Sometimes, the only available outdoor space is a narrow strip of ground along the path that goes to your front entrance. This narrow strip can transform your entrance into a true miniature garden and increase the value of your home. Choose some tall perennials and plant them sporadically throughout the space, without following any particular geometry, then fill the space between the plants with river rocks, preferably white. If the strip of ground is delimited by a fence, use it as support for a climbing plant, such as ivy. When thinking about climbing plants, most people think of green, leafy plants such as ivy. The truth is that there are dozens of climbing plants you can use to beautify an ugly wall or fence and that can be used even in the smallest gardens or patios. Maybe the best choice if you have a small patio with little to no lawn is to build a wrought iron support along the path and above the relaxing area, and use it to grow climbing roses. Throughout the summer, you will be able to take a break in a romantic and chic outdoor space. Water is life, and for an attractive space, you can always rely on using a small fountain or pond to enhance the look of your garden. You can literally use any type of fountain you like depending on your personal tastes and preferences. However, if your outdoor space is really small, it might be a good idea to decorate your space in a minimalist way. A great fountain can be achieved by using a rectangular stone or marble basin that can be placed on a stone carpet next to some tall leafy plants, such as the Sweet Cheese plant. Yes, you can create a luxurious tropical garden even in the tiniest space by combining design elements with the right plants. You can apply this small garden idea to a small lawn or patio by associating different elements. Start with the furniture and choose a low coffee table and some extremely cozy butterfly chairs. Surround the space with dwarf palm trees and create a vertical garden on the wall or fence of the patio. Complete your décor with a small fountain, maybe similar to the one described above. Regardless of the dimension of your garden or backyard, a gazebo is always a great idea. If you want to create a chic and stylish effect, choose a gazebo made of wooden logs and covered with a cream curtain. Place a wrought iron table and chairs set under the gazebo to create a sophisticated dining area. Regarding the plants, use stone containers and choose short evergreens. To protect yourself from mosquitoes and other insects, an inspired idea is to plant rosemary, mint, and lavender, plants that are not only repellent but that also look good. Most people don’t even consider having a lawn in a small backyard or rear garden, yet a well-cured lawn can certainly enhance the aspect of your outdoor space. Create a beautiful background with the help of a few concrete containers arranged along the rear wall or fence, then create an empty lawn in front of it up to the patio. Pay attention to choosing the right grass seeds based on the type of terrain you have, and invest in a small lawn mower to keep your grass trimmed and tidy at all times. Even in the narrowest space, a Mediterranean terraced garden will beautify your property. Create terraced flowerbeds with the help of stone blocks arranged one above the others. Create as many terraces as you want along the fence or along the wall of your house. To stay true to the style, create a cobblestone path in a shade that matches the stones used for the terraced flowerbeds. Choose the chorus plants you like best to decorate the various layers of your terraced garden and alternate them with a few evergreens and shrubs. If you simply love the Mediterranean landscape, with its rocky mountains and steep cliffs covered in characteristic vegetation, you can recreate a similar landscape in your tiny outdoor space. As you can imagine, you will need rocks of many shapes and sizes, preferably white to recall the characteristic Mediterranean limestone. When it comes to the plant choice, Hinoki Cypress and dwarf Alberta Spruce trees, combined with rosemary and mint are the most inspired ideas. Morocco’s culture and styles are simply fascinating, and it is easy to recreate a Moroccan garden even in the tiniest spaces by choosing adequate plants and decorative elements. Starting with the plant choice, there are many dwarf palm trees and exotic leafy plants you can choose from. Plant them in large terracotta pots and surround the whole perimeter of your garden with pots and plants. In the most remote corner, install a small fountain; around the fountain, on the fences or walls, plant some ivy or another climbing plant of your choice, and don’t worry if the plants cover the edges of the fountain. Regarding the furniture, choose Moroccan inspired stools and a coffee table. If you want to arrange them on a carpet, make sure you cover the garden with a large gazebo. You can enhance the dull lawn in your rear garden by creating a holistic garden. Apart from a visual effect of great impact, you can play with perennials and edibles to create a space that is both relaxing and functional. Choose any tree you like and plant it in the center of your lawn. With white pebbles, create a semicircle around the tree with a diameter of about 2 feet. From this semicircle start to create a loose spiral path to your rear entrance. Fill the path with gravel and place white pebbles along the whole path that lead to the tree. Plant rosemary bushes along the spiral, at a distance of about 4 feet from the pebbles. Next to the pebbles plant some dill. You can use the middle space between the rosemary and dill plants to alternate vegetables, such as cauliflower or lettuce, associated with dwarf sunflowers or lavender. If you have a small rear lawn delimited by a tall fence or wall, you can create the illusion of space and also an island of peace with only a few well-placed elements. Create your island of peace in the most remote corner of the garden, close to the rear wall or fence. To create it, use small pebbles to draw a circle wide enough to hold a stylish wrought iron bench or a cozy sofa and maybe a round wrought iron table. Fill the circle with white gravel and place a large black pot with ornamental grass, such as Zebra Grass, opposite to the bench. Choose other types of shrubs to decorate the rest of the lawn and decide whether to build or not a path to your island. If you are a DYI enthusiast and have a really small terrace or patio, you can enhance the beauty of your space with an original DYI vertical garden. Use wooden boards for flooring and also to create a wooden panel with the width of the rear wall or fence. Cut small holes in the panel and fix it at a height of at least 25 inches above the ground. Ideally, the panel should also have a height of at least 25 inches. Use ladles and dippers of different sizes as flower pots and hang them on the holes cut in the wooden board. You can plant any flowers you like, such as chorus plants or herbs such as basil, rosemary, and lemongrass. Zen gardens are characterized by impeccable geometries and harmony between the lines. The best part is that Zen gardens are perfect for the small outdoor spaces. It is quite hard to create a Zen environment on your own, but the expert landscapers can certainly help you create the best geometry for your space. Regarding the plants, the best choices are the evergreens in various shades and tonalities and also the perennials that will change the aspect of your garden according to the season. You don’t need a large space to create an attractive pond. You can start by placing a waterfall fountain in the corner where you want to build the pond. Build the pond of the shape and size you like, choosing the right filtration system if you want to populate it with fish. Plant some ornamental grasses along the edges of the pond and decorate with garden fairies and dwarfs. Alternatively, create a cozy area next to the pond but in this case, remember to plant some repellent plants. It is always a good idea to use a small rear garden to grow all the herbs you need in the kitchen. Place a wooden bench along a fence and use the rest of the space to grow basil, dill, parsley, coriander, mint, oregano, rosemary, lemongrass, and even sprouts. For a more interesting effect, you can choose several varieties of basil, such as Cardinal basil that has awesome flowers or Ruffles basil that has purple leaves. A small garden, or even a narrow strip of ground along the patio, will give you the opportunity to play with colors and patterns if you choose to populate it with annual plants. These plants are almost always characterized by lively colored lush blooms and they will certainly light up the otherwise dull aspect of your path or backyard. You can choose any plants and colors you like, such as Violets, Petunia, and Hydrangea, to name just a few. And if you don’t really like the aspect of your garden, remember that next year you will be able to create a brand new design. The shabby chic style is characterized by neutral colors paired with pastel tones of blue, purple and pink, by the combination of natural materials with metal elements and the disposition of various decorative objects that inspire coziness. To create a shabby chic garden, use a white bench and a wooden table around which you can arrange pots of flowers such as hydrangeas in various tonalities, lavender, and even chili bushes. Use metal buckets as pots and roughly paint them in white and cream to create a vintage yet cozy environment. If you want to create a cozy area where to hang out with your family and friends, use the walls and fences of the yard or terrace as a backrest and install cozy sofas around the whole perimeter. Place coffee tables along the sofas and decorate with hanging pots of annual flowers. Another creative small garden idea is to create a minimalist vertical garden on your garden’s walls or fences. Paint the wall or fence in a strong color and use neutrally colored steel containers as flowerbeds. Choose a combination of ornamental grasses, herbs, and annual flowers to create attractive compositions that will become the envy of your friends. Use succulents and cactuses to create a true desert landscape in your small garden. These plants love te sunshine and don’t need special care throughout the year, so this type of environment is easy to care for. Plant the succulents and cactuses into round terracotta pots and arrange them in any composition you like. For a beautiful effect, arrange the pots on white river rocks at various heights and use really wide pots to plant succulents and cactuses together. If you don’t have a garden at all, not even a terrace or a patio, you can still create a small indoor garden in your living area or under the stairs. Delimitate the space of the garden with concrete blocks and fill it with gravel. Choose minimalist pots of different heights and shapes and plant a variety of leafy plants, ornamental grasses, and dwarf trees. Arrange the pots in the garden and use other decorative elements such as branches to define the aesthetics. We hope these 29 small garden ideas will help you transform your space into a true oasis of peace.